Instead of performing Charles Dickens’ beloved holiday classic for the umpteenth time, three actors decide to perform every Christmas story ever told—add a sprinkling of Christmas traditions from around the world, seasonal icons from ancient times to contemporary pop-culture, and every carol ever sung—and you’ve got a madcap romp through the holiday season. 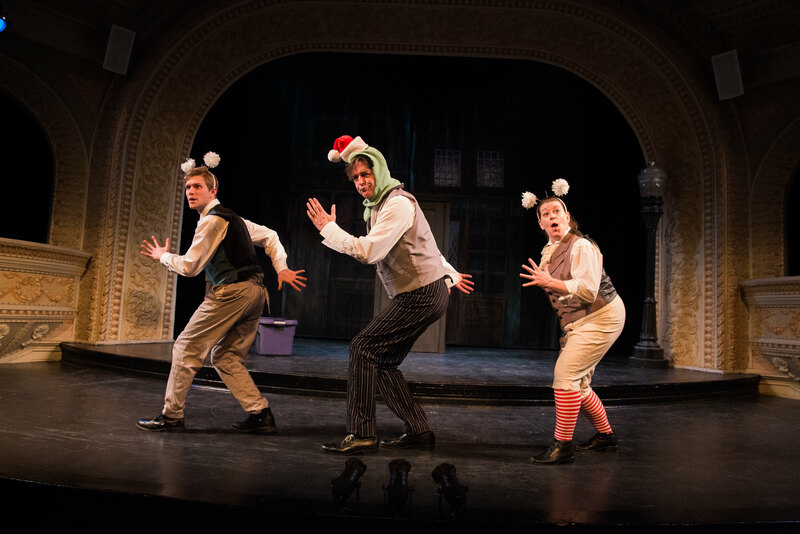 Part vaudeville and part Complete Works of William Shakespeare…Abridged, Every Christmas Story Ever Told… is a fast, furious, and slightly irreverent look at holiday classics and traditions. Santa Claus, Rudolph, the Grinch, and just about every other seasonal character, make an appearance in this racy comedy that will have you laughing all the way to the New Year! This production is best for revelers ages 13 and up. More pictures from Every Christmas Story Ever Told..
audience, Every Christmas Story Ever Told…(and then some!) Think of it as the antidote to commercialism, overt sentimentality, and traditional traditions. But don’t let our cynicism fool you; this play is chock full of decades of holiday memories and a very similar passion for “good will toward man” that we’ve shared on this stage for the past three seasons. So haul out the holly, put up the tree, and let your spirits soar again. Share the magic of the holidays, the joy of the season, and the spike of the eggnog with loved ones who truly make this time of year special. And to you who make our year special, we offer our sincerest gratitude—thanks to your commitment we will continue to bring together audiences from near and far to share in the magic of theatre. 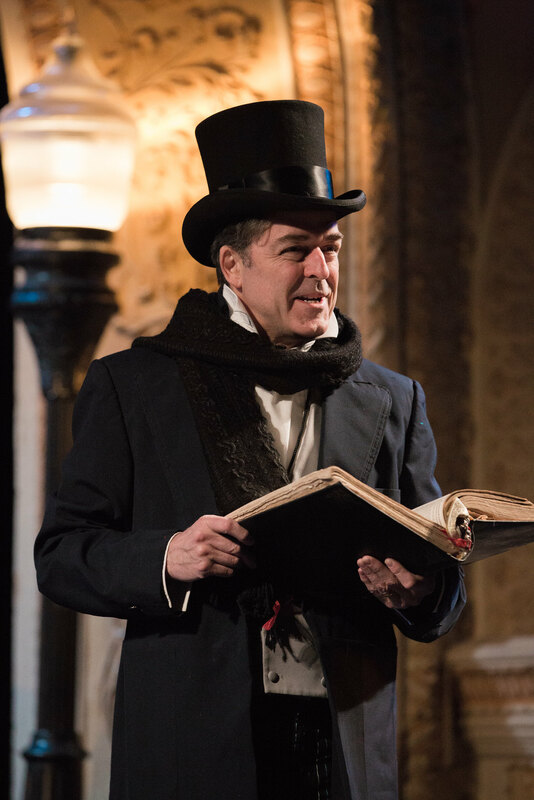 We hope this production inspires you to share the warmth and generosity of the season. And to you and yours a very happy and prosperous New Year!